Closeouts. 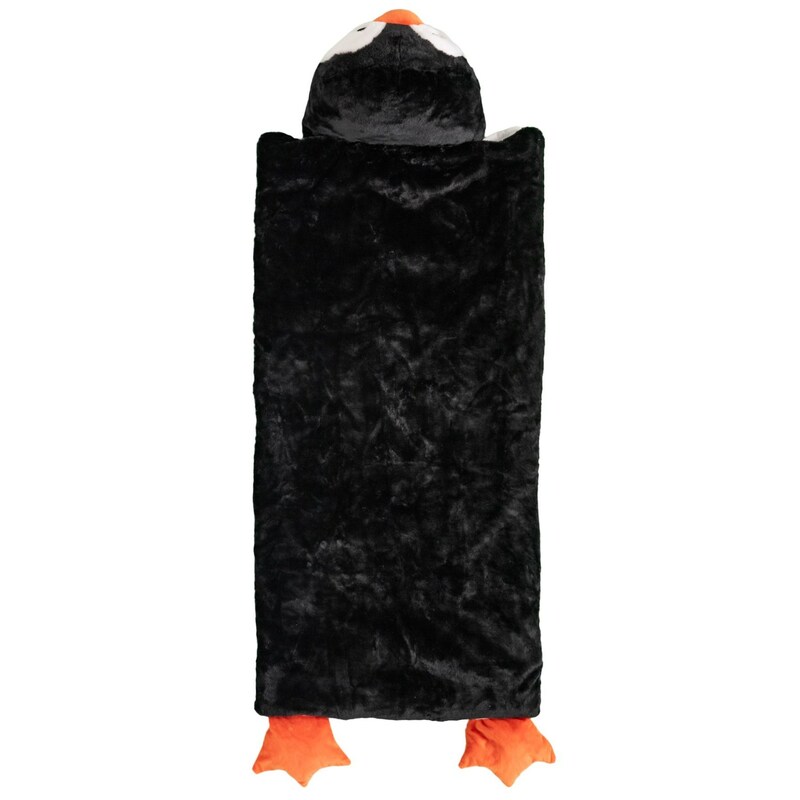 Ideal for campouts and sleepovers, this Frolics penguin plush sleeping bag features low-bulk synthetic insulation and supersoft material in a fun costume-like sleep sack. Your youngster can use the head for a pillow, too!